Made in New England: Stonewall Kitchen Ghost Pepper Aioli, 10oz. 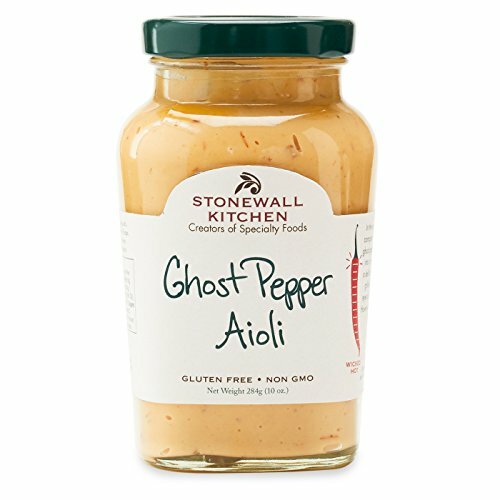 Stonewall Kitchen Ghost Pepper Aioli, 10oz. To add some serious spice to this aioli, we turned to the ghost pepper, which at one point ranked as the world's hottest chili. This fiery spread delivers tongue-tingling heat that's ever-so-slightly tempered by its creamy mayonnaise base. Give burgers some bite and make sandwiches sizzle with this crazy hot condiment.